In March 2016 Mr. Peller was invited to do a second printmaking residency at the Guanlan Printmaking Base in Guanlan, China, after his work, Closing Time, was selected in the 5th Guanlan International Print Biennial Exhibition in 2015. He completed four new editions including a new color edition, Evening Shower. 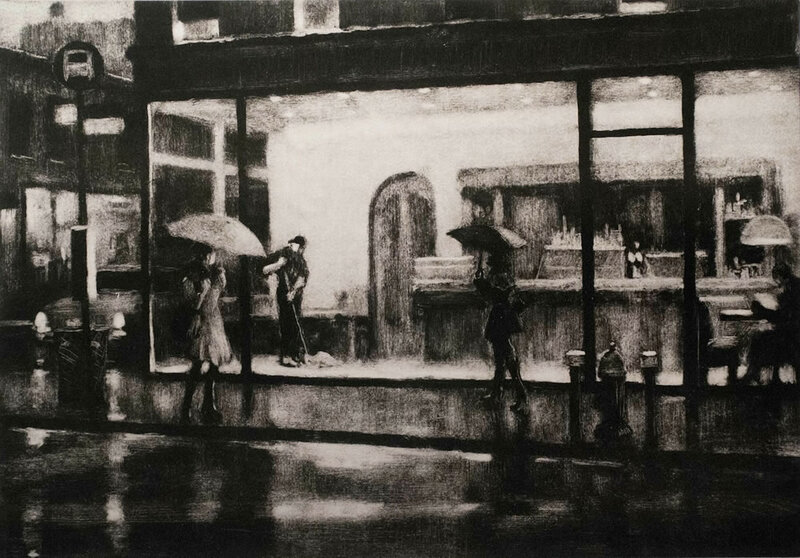 In May 2015, Mr. Peller's work, Closing Time was selected from 3000 entries for the 5th Guanlan International Print Biennial China 2015 an international juried exhibition held at the new Guanlan Art Museum in Guanlan China. 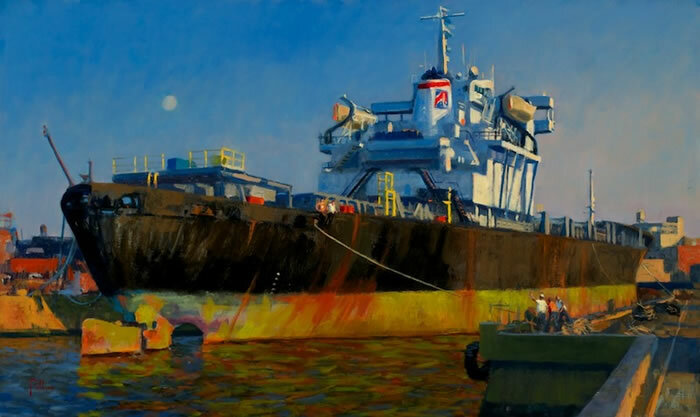 Mr. Peller's oil painting, Tugs and Barges at Sunset was featured in the group exhibition, Allied Artists of America 100 Years at the Canton Museum of Art in Canton Ohio. 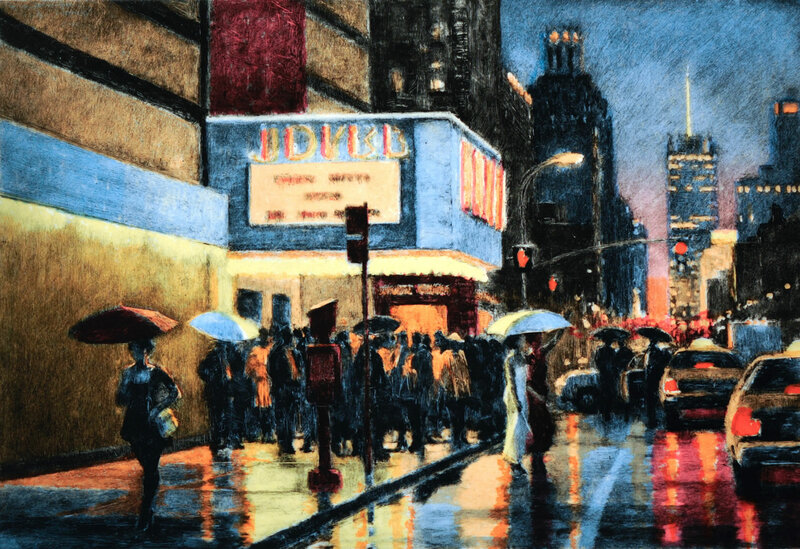 The exhibition continues through July 19, 2015. A catalog is available. 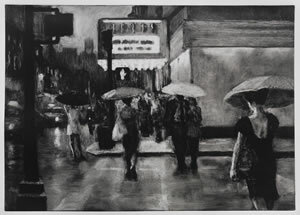 The works in the exhibition will represent images of a metropolis, created in a variety of media including, oil, sculpture, and works on paper. 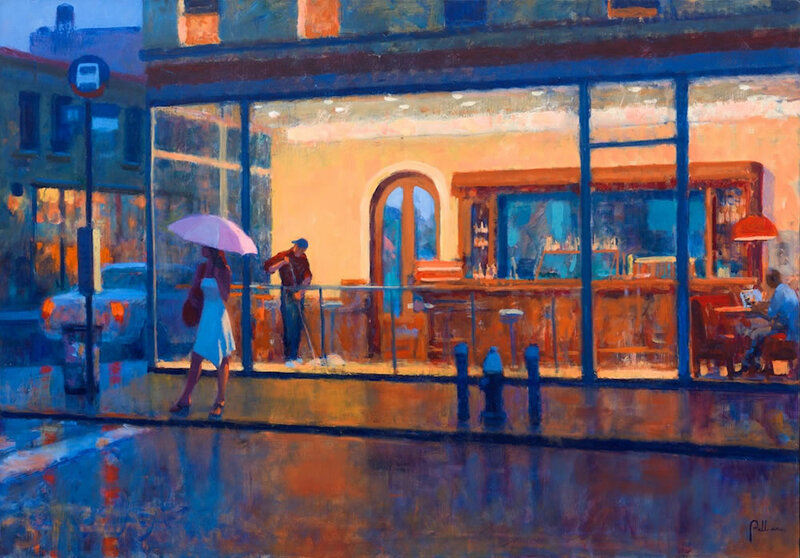 ARTnews’ Mona Molarsky’s review of Peller’s most recent solo exhibition at ACA Galleries in New York observed, “Peller’s paintings capture the grit and romance of Manhattan”. Urban scenes and citizens of the city will be explored and exposed, in a series of moments, vividly expressed. 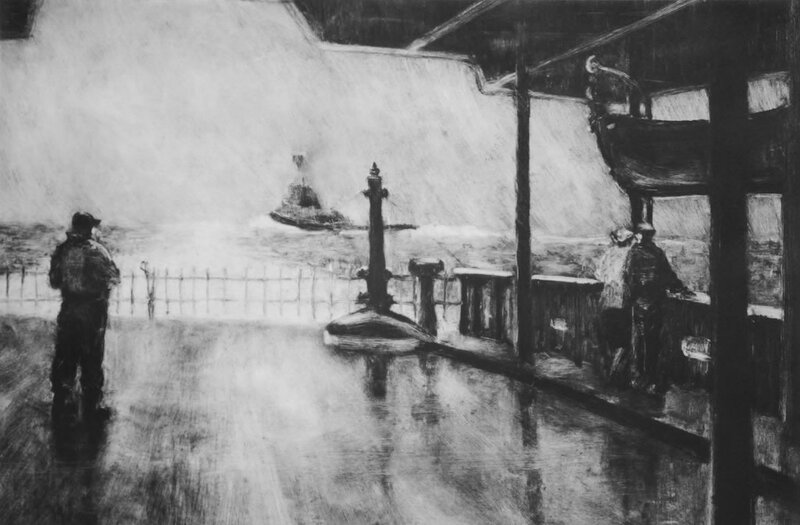 Also featured will be a series of etching editions that the artist completed during his recent residency at the Guanlan Printmaking Base in the People’s Republic of China. 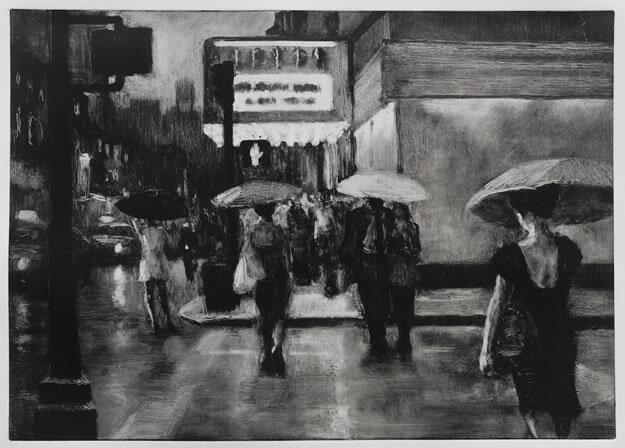 These editions offer a black-and-white counterpoint to the urgency of the urban environment. 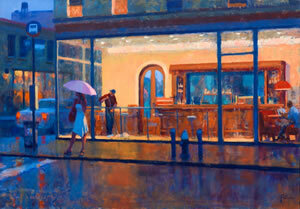 The artist will be present for the opening reception Thursday, November 6th from 5 PM to 7 PM. 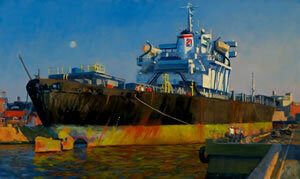 For more information, please contact Paul Wildridge at (416) 924-8731 or at www.RobertsGallery.net. 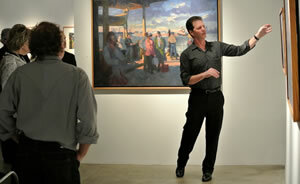 Joseph Peller gave two talks at ACA Galleries in conjunction with his solo exhibition Circadian Rhythms of the City. 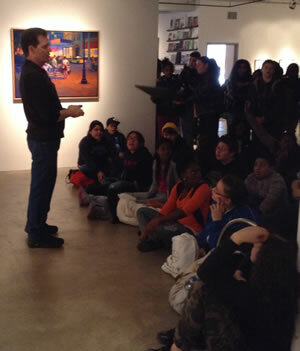 On March 21, Mr. Peller was invited as a guest artist to speak on his work at ACA Galleries in the LeAp’s Public Art program sponsored by the city of New York which encourages middle school students l to have a voice in their communities on critical social issues through the creation and public exhibition of art in New York City parks. 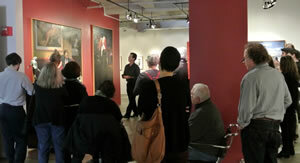 On March 22 Joseph Peller gave a talk on aspects of his work in his current solo exhibition Circadian Rhythms of the City at ACA Galleries. The talk highlighted the genesis of the major themes and the sources used, as the artist's visual point of departure Mr. Peller also discussed the various mediums used in the exhibition. The word circadian refers to a process recurring naturally on a twenty four-hour cycle. 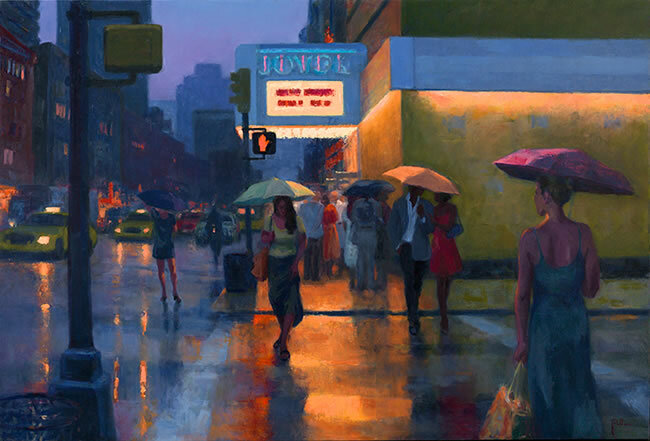 Joseph Peller sees the city as a living organism whose citizens’ daily rituals and routines set the ebb and flow of the city's biological clock as reliably as sunrise and sunset. In this solo exhibition Peller introduces new paintings, sculpture and works on paper, including a series of new etching editions done during a four-week printmaking residency in 2013 at the Guanlan Printmaking Base in the People's Republic of China. In April 2013 Joseph Peller participated in a four-week printmaking residency at the Guanlan Printmaking Base in Guanlan, China as a guest of the People's Republic of China. 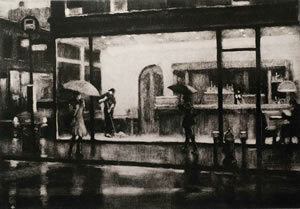 While there, he completed six etching editions. The artist also visited Japan to view the works of Japanese printmakers Hokusai, Hasui, and Hiroshi.